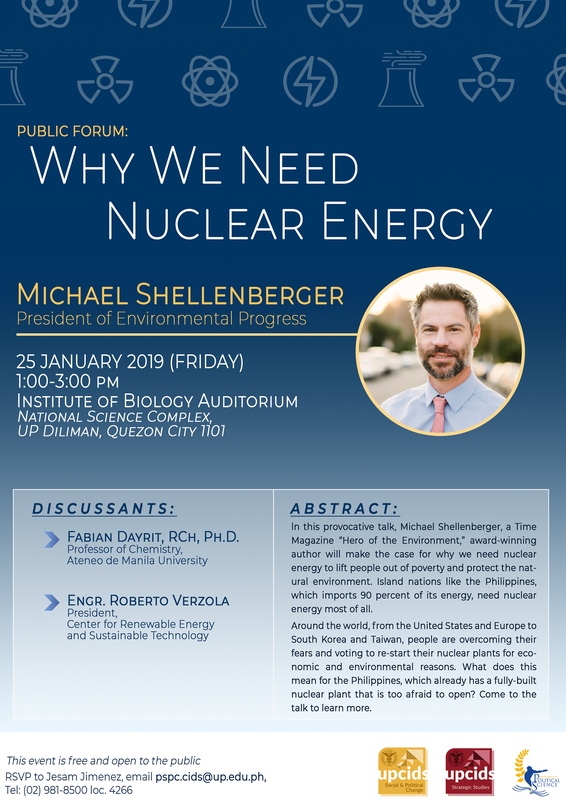 The Program on Social and Political Change and the Strategic Studies Program, together with the UP Department of Political Science, are co-organizing a public forum “Why We need Nuclear Energy” by Michael Shellenberger, President, Environmental Progress on Friday, 25 January 2019 at 1:00 – 3:00 PM at the Institute of Biology Auditorium. In this provocative talk, Michael Shellenberger, a Time Magazine “Hero of the Environment,” award-winning author, and lifelong peace and environmental activist, will make the case for why we need nuclear energy to lift people out of poverty and protect the natural environment. Island nations like the Philippines, which imports 90 percent of its energy, need nuclear energy most of all. Nuclear can create thousands of high-paying jobs and save billions spent importing coal, oil, and natural gas. Renewables like solar and wind are too expensive, unreliable and require too much land. What’s standing in the way? Irrational fears. While it may sound shocking, nuclear energy is the safest way to make electricity. The reason? It produces no deadly smoke. While people were scared of Fukushima and other accidents, the only harm was from panic, not radiation, which proves that our fears of nuclear are more dangerous than the technology. Around the world, from the United States and Europe to South Korea and Taiwan, people are overcoming their fears and voting to re-start their nuclear plants — for economic and environmental reasons. What does this mean for Philippines, which already has a fully-built nuclear plant that it is too afraid to open? Come to the talk to learn more. Shellenberger’s presentation will be followed by commentaries from Dr. Fabian M. Dayrit, Professor of Chemistry from the Ateneo de Manila University and Engr. Roberto Verzola, President of the Center for Renewable Energy and Sustainable Technology. Michael Shellenberger’s profile can be found here. 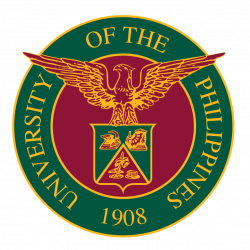 Joining as discussants are Fabian Dayrit, RCh, Ph.D., Professor of Chemistry, Ateneo de Manila University and Roberto Verzola, President, Center for Renewable Energy and Sustainable Technology.